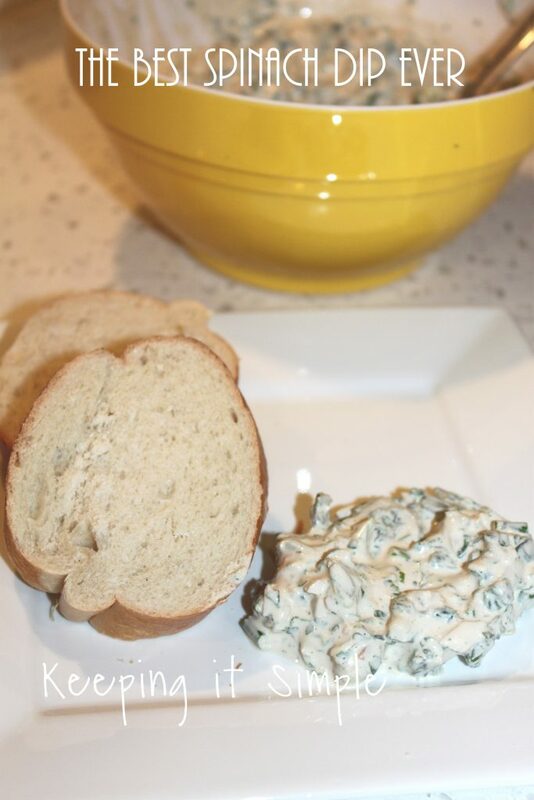 This spinach dip is one of my favorite recipes. I got it from my mom and have been making it for about 10 years now and I just LOVE it! It’s so good and whenever I take it somewhere or have a party at my house, it’s always a big hit! It’s super easy to make (like all of my recipes!) and it definitely is a crowd pleaser! 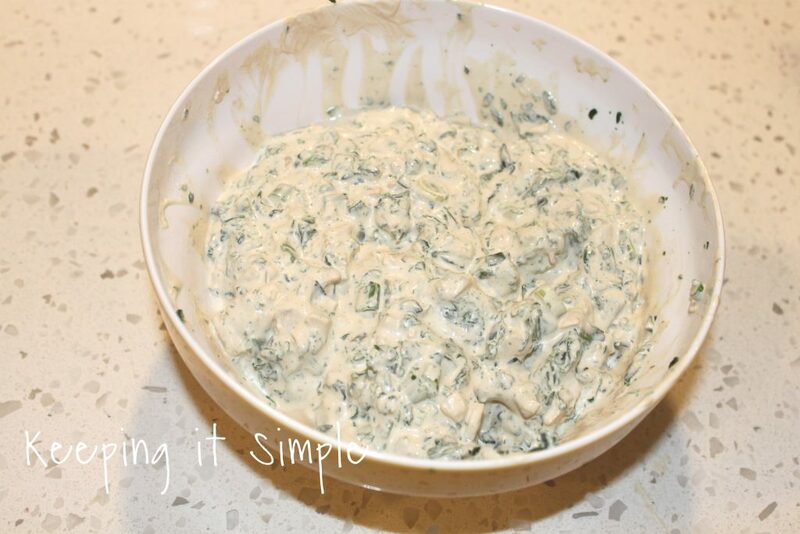 Here is a video to show the process of making this spinach dip and to show how easy it is! 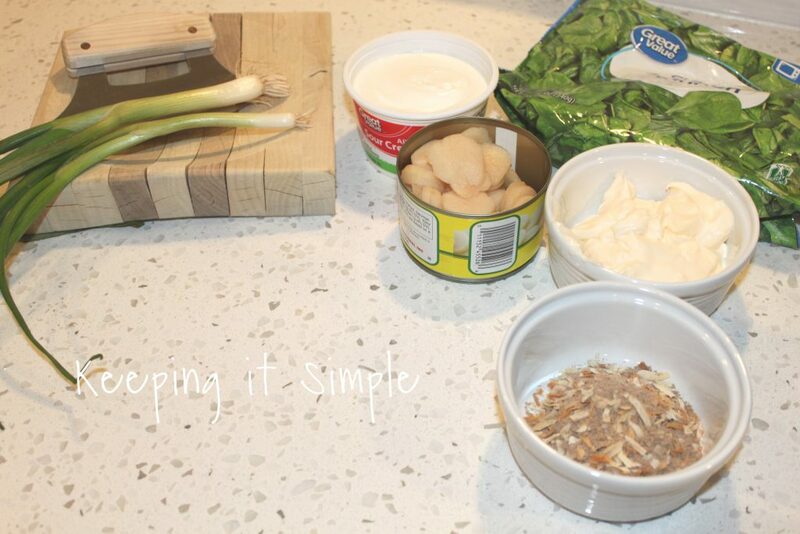 This is what you’ll need to make the spinach dip. Add sour cream, mayo and soup mix and stir. Dice green onions and water chestnuts and then add to dip. Thaw and drain the water from spinach and then add to the dip, stir. Once the spinach is thoroughly mixed up, chill for 2-3 hours before serving (it just tastes better that one). Here are all the ingredients that you need. I found that the spinach that comes in a steam bag are the easiest to use. I have gotten spinach from the frozen section that are kinda in a block form and when you thaw it you really have to squeeze out the water to drain it. This bag was much easier to thaw. 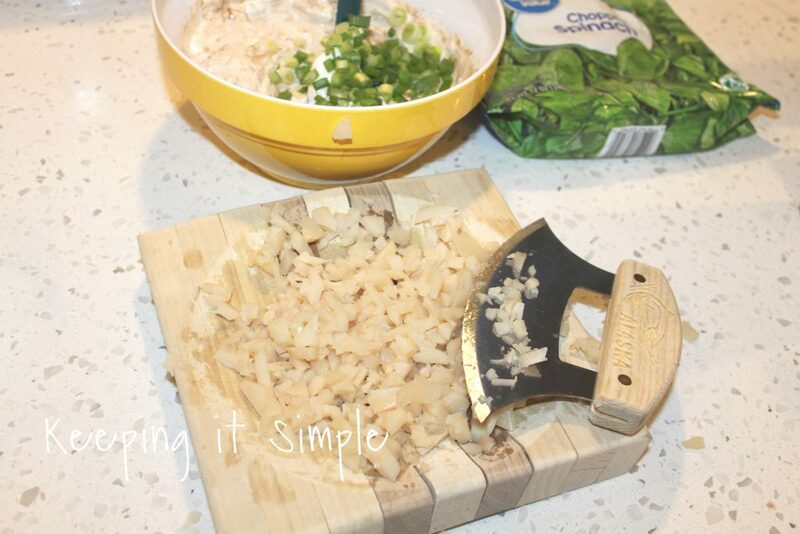 When it comes to dicing vegetables, I love to use my Ulu knife. It’s awesome and doesn’t a great job getting them into some chunks. It’s especially nice for things like water chestnuts because they are a pain to cut one by one (it’s also great and cutting herbs and olives but those aren’t in this recipe :D). Also the water chestnuts are one of my FAVORITE things about this recipe, it gives it a really nice crunch and flavor. This is how it looks all mixed up. It’s a fairly big bowl. When I take it to pot lucks of gatherings with lots of people there is always plenty for people to have! 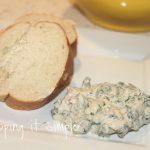 I love this spinach dip with french bread, it tastes amazing! 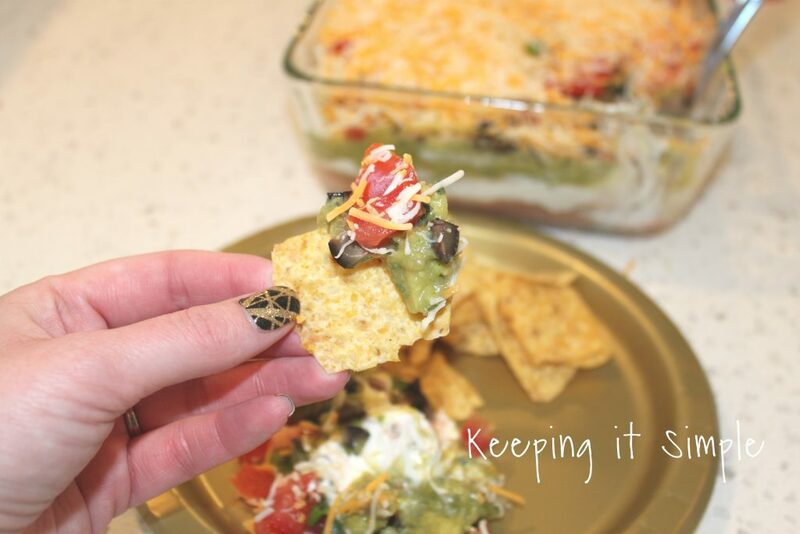 You can serve it on crackers or tortilla chips too. My favorite way to serve it is with my homemade french bread, yum! 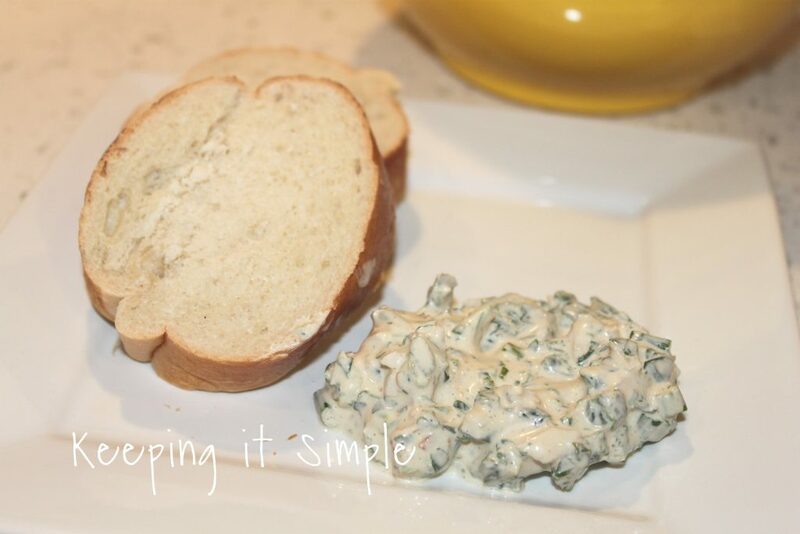 If you love spinach dip, then you have to try this one! It’s so good and it’s always a big hit at parties! 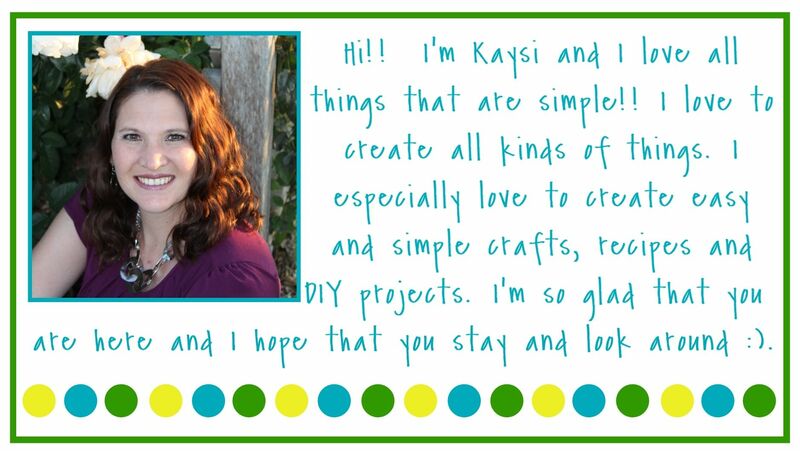 Check out my other yummy appetizers too!